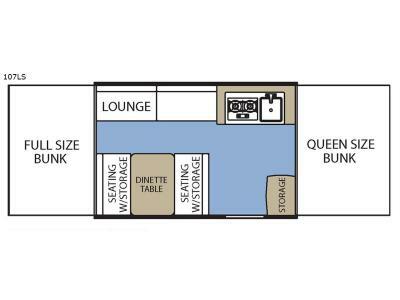 Have you been thinking about owning an RV but are not sure which one to choose? 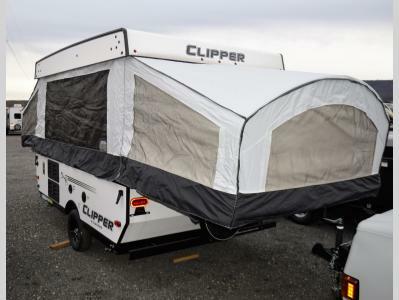 This Clipper LS camping trailer is perfect for the beginner or someone who wants to store the trailer at their home. 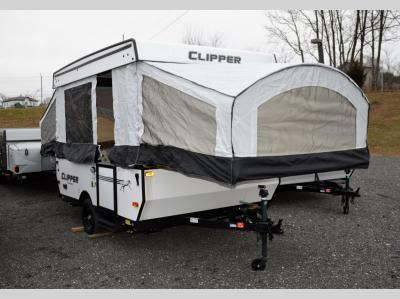 This model is also easy to tow and easy to setup. 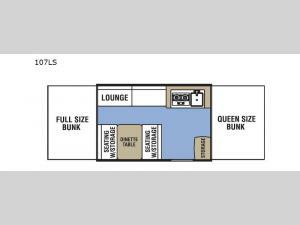 You have the choice of sleeping on a queen or full tent bed, and there is a booth dinette and lounge that provide a place to relax, eat, or sleep. You will enjoy cooking meals on the two-burner cooktop and washing your dishes in the deep bowl acrylic sink anytime that you don't want to spend money on take out.